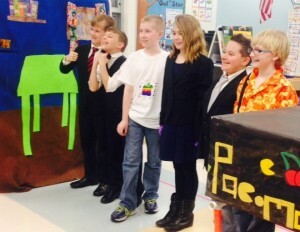 Destination Imagination is an international, creative problem-solving, cooperative team competition for kids. Groups of 2-7 students form a team, under the facilitation of volunteer parent Team Managers, who usually hold meetings in their home. Teams select one of six rich, complex and fun problems to solve on their own–no help from adults or others allowed! In the spring, teams present their solutions at an exciting, day-long Regional Destination Tournament. A season of Destination Imagination can last from the fall until the tournament, which is held in the spring. Students who participate gain confidence and creativity and learn skills in cooperation, problem-solving, critical thinking and presenting their ideas. To find out more from the national website, click here. To see Challenge Previews for 2018-19, click here. 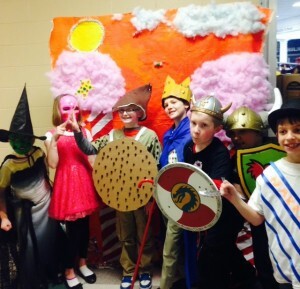 Destination Imagination is a creative, team-based, problem-solving activity for children. 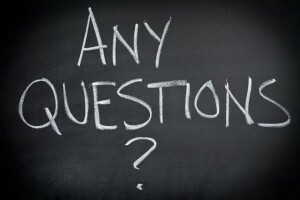 Problem choices and online resources are provided. Teams select a Central Challenge to solve, prepare a presentation of their solution, and compete in a Regional Tournament. All solutions are completely kid-created. Additionally, there is an unplanned Instant Challenge for the team to solve at the tournament. Typically teams are 5-7 students, with 2 being the fewest and 7 being the greatest number allowed. What is the D.I. Season? When and where is our Regional Tournament? Teams often begin meeting in the fall and continue to meet up until the tournament, which is usually on a Saturday in February, to be announced. The tournament is regional, usually under 45 miles away. Who will my child’s coach be? When and where will we meet? Teams are facilitated by parent volunteer Team Managers or Co-Managers. Teams meet when participants and Managers are available, most often in the home of the Team Manager. Teams can form only if parents volunteer to be Team Managers or Co-Managers. Is placement on a team guaranteed? Teams can only form when parent volunteers step forward to facilitate and host teams. If there aren’t enough TMs or participants, students may not be able to participate. D.I. Building Coordinators, using D.I. Interest Forms, try to group children of similar age into teams; students from different schools in the district may join to form teams. Every effort is made to place students on available teams. Team placement will be communicated as soon as possible after Interest Forms are Returned. Can my child join an already established team? An experienced team has the option to add new team members each year, but they may opt to keep their team as is to preserve the experience level and competition skills they have have worked hard to earn together as a team in previous years. Teams have a right to form and limit their size, according to official D.I. rules. Teams usually meet once a week for 1-2 hours, and sometimes more as the Tournament in March approaches. The fee for the 2017-18 D.I. season is $55, unless there is a very small team. The participation fee covers tournament fees and team materials. How do you become a parent volunteer Team Manager? What is involved? Parents who volunteer as Team Managers play an important role and they open up great possibilities for learning experiences to many students. This is a great way to create awesome memories with your own children. How to get started: Team Managers volunteer, and then they can log onto an official D.I. account, where resources are available to learn about the challenges, how to run meetings, and an overview of the entire D.I. season. Excellent online resources guide TMs through the process. Additionally, a regional Team Manager training is hosted by the Region 18 volunteers and tournament director. IF there is enough interest, an information meeting for prospective Team Managers can be held for parents. Team Managers help to guide teams through the D.I. process: reading through the challenges; selecting a challenge; brainstorming solutions; helping obtain materials for the solutions; guiding students to challenges at the tournament. Team Managers, like all team members, are expected to attend the entire day of the tournament. Team Managers purchase team materials and keep receipts for submission to school offices, who will reimburse TMs from team funds. Team Managers host weekly meetings in their homes, usually, much like many scouts programs. Team Managers set meeting times and communicate with parents of team members. The D.I. season is a long commitment, usually from fall to March or April when the tournament is held. Building Coordinators are also available to explain commitments to potential Team Managers.